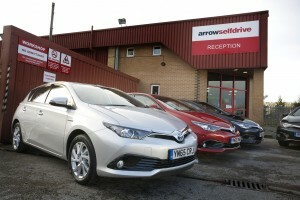 For the very first time we have some Petrol Hybrid cars on our fleet and available from all depots. 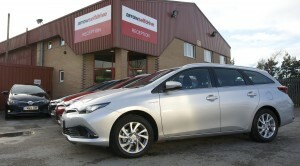 The new Auris Business Edition offers all the tools to make working life as comfortable as possible. An excellent choice for corporate users it is economical, environmentally friendly and has extensive safety features. The all new Auris has automatic transmission, the petrol hybrid power plant produces 136 bhp with only 91g/km co2 emitted and returns over 72.4 mpg. Power driver’s seat lumber support. Contact your nearest depot to book yours today and give it a try.